Scientists from Pacific Northwest National Laboratory and Switzerland’s University of Zurich received 20 million hours of computing time to answer fundamental questions about catalysts, thanks to the 2011 INCITE Leadership Computing award. 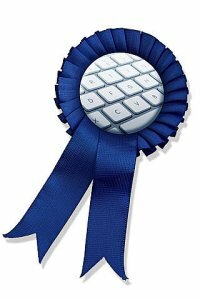 Managed by the Department of Energy’s Office of Advanced Scientific Computing Research, the awards provide large, computationally intense projects with time on certain supercomputers. The acronym INCITE stands for Innovative and Novel Computational Impact on Theory and Experiment. This is the second INCITE award that PNNL has received and only the second INCITE award at PNNL. Using the Cray XT at Oak Ridge National Laboratory, the team will investigate processes that occur at the liquid/air interface of titanium- and nickel-based catalysts. Specifically, the team will perform intense calculations to accurately estimate reaction free energetics, the internal forces that drive a reaction towards equilibrium, in complex chemical environments. The researchers believe this work will show that the combination of electronic structure, statistical mechanics, and leadership-class computing will assist in controlling and creating catalysts that are essential for renewable energy. On this INCITE award, the team members are Shawn Kathmann, Simone Raugei, Roger Rousseau, and Greg Schenter of PNNL, and Juerg Hutter and Joost VandeVondele of the University of Zurich. The team is led by Christopher Mundy, a physical chemist at PNNL. This INCITE award and our previous one establish PNNL as a player in large-scale calculations for computational chemistry, said Bruce Garrett, the director of Chemical and Materials Sciences at PNNL. Read the DOE Press Release.